Assist member districts to meet the State’s Standards for Gifted and Talented Education and Advanced Placement. 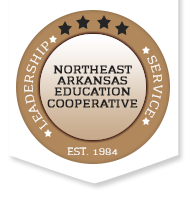 The Gifted and Talented Specialist will assist the member districts to meet the State’s Standards and Serve as a liaison between the Arkansas Department of Education, Office of Gifted and Talented, Advanced Placement, Education Cooperative, parent, and professional organizations, and other public and private agencies. Promote Gifted Education through public awareness and advocacy. Pre-AP Cohort 2 Flyer – apply to be part of the second cohort of Pre-AP schools who will be piloting the new audited Pre-AP courses in 2019-20. Top 2016 NAGC Blog Posts – Insightful, timely commentary and synthesized research on supporting the needs of gifted and talented students. Giftedness Knows No Boundaries – An awareness campaign that allows the public to look into the eyes of gifted children. Story Store – The Story Store is a play written by Melinda Williams from local cooperative area student’s submissions. Melinda is a Professor of Communication Arts at Williams Baptist University in Walnut Ridge. Some of her drama students at the college will perform the play. Deadline – February 1, 2019.